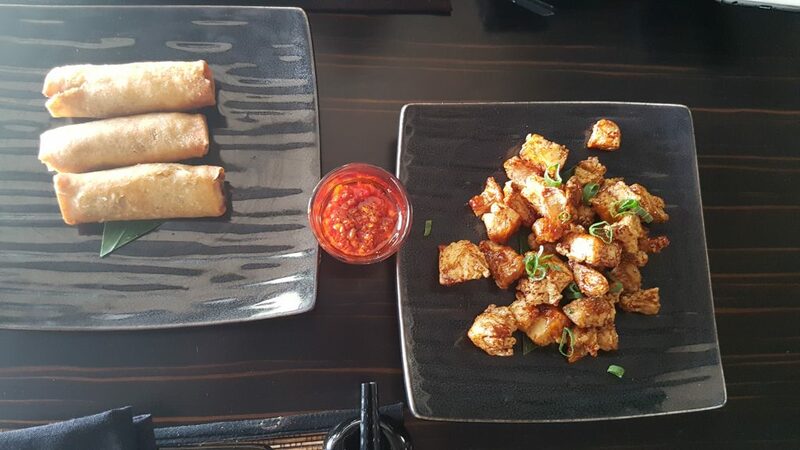 My journey with POW Restaurant Abuja started December 2016, I had just moved back to Nigeria and was “tasting” out—get it? !— the new restaurants in town. I stumbled across POW on instagram and loved the vibes it gave. 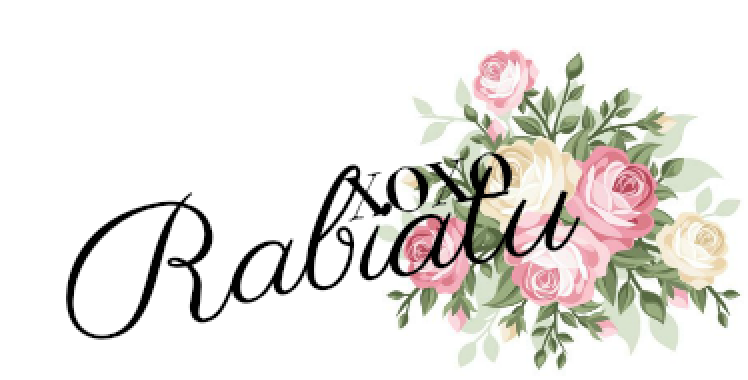 When it comes to restaurants, for me the ambience plays a huge role in my decision to eat there as I have mentioned in some of my previous restaurant reviews. So Pow was right down my alleyway for ambience and decor! For my first visit to POW, I went with my “restaurant connoisseur and fellow foodie” Walida AKA my Sister and my friend Nadiya. It was Nadiya’s birthday and we wanted to treat her to a nice lunch, so this was a huge gamble for us. When we got there, it was about 2 in the afternoon and there were just a few people there, which was nice—In this case, the law about packed restaurants being really good did not apply :). The first thing that came to my mind when I entered the restaurant was it reminded me so much of a restaurant I went to in London called Cocochan. This restaurant had plants lining up the staircase and it had like an industrial decor feel to it as well! 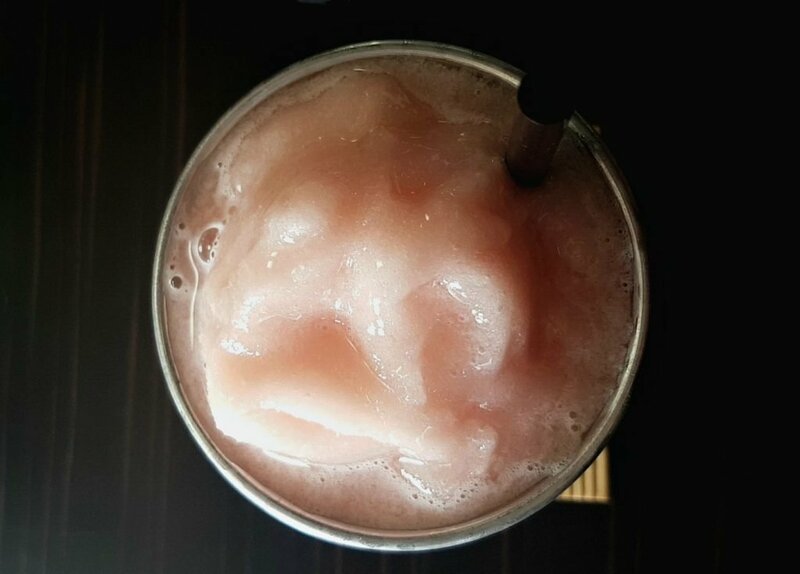 Since then, I have gone to PoW a few other times so this post is a general review of the restaurant from all my visits. 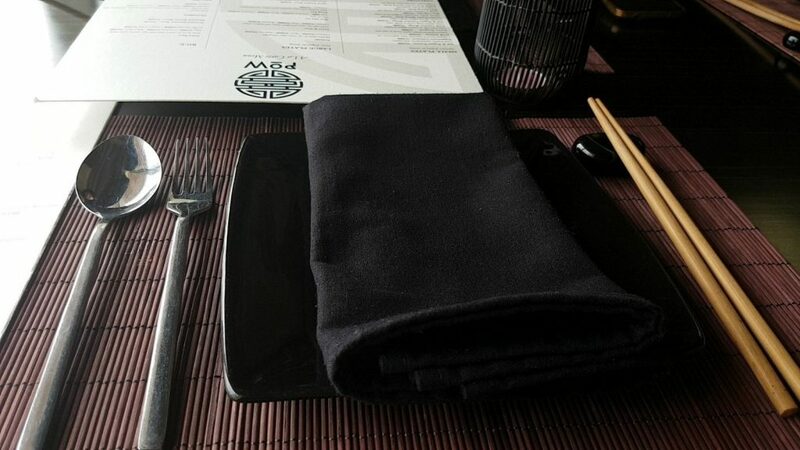 I found the food was consistent and the service as well throughout my visits and the times I ordered for delivery. 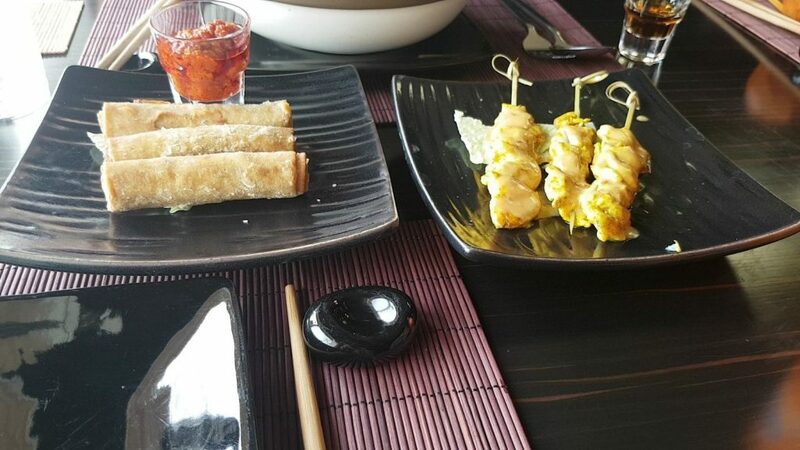 For starters, I always went with a mix of some form of Spring roll and chicken satay or beef. The spring roll tasted okay, like any regular spring roll and the Satay was almost as good as the one I had in Malaysia. But the best part for me was the side of chilli dip. As a chilli lover this made all the difference and gave each bite the right amount of Kick. 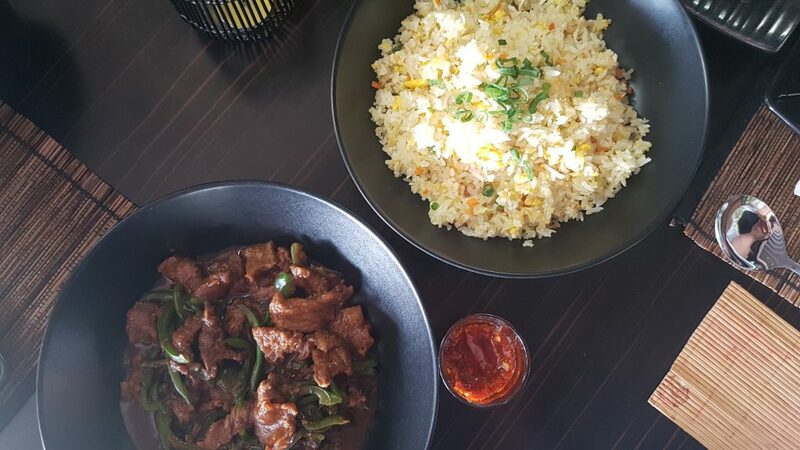 For the mains, I order mostly the beef fried rice, or the Egg fried rice and It is safe to say that they make the best Chinese fried rice in Abuja. 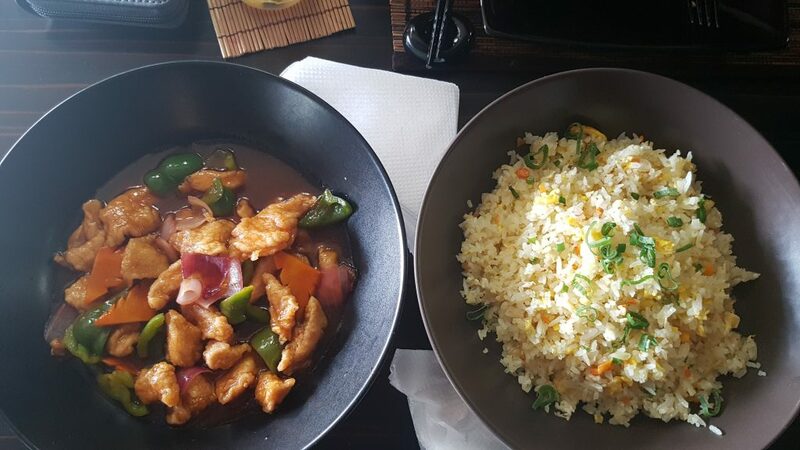 Most people “claim to make fried rice” but it tastes more like Nigerian version of fried rice with the ingredients of a chines fried rice, but at PoW, they almost got it spot on! But for their Pho, I was not a huge fan! 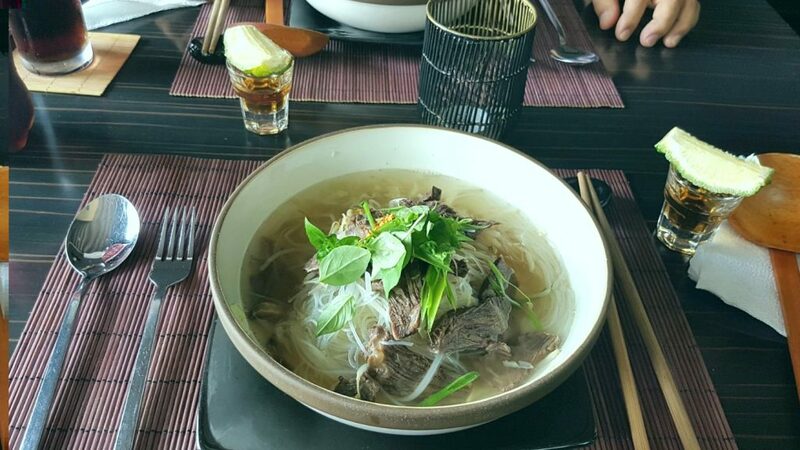 The final taste was just like Vermicelli in broth with a topping of beef. I have had Pho a different time at a pho place in London and that had more toppings and flavour to it. I think the biggest downside for me was the noodles they used, the texture and taste of it was just meh for me. 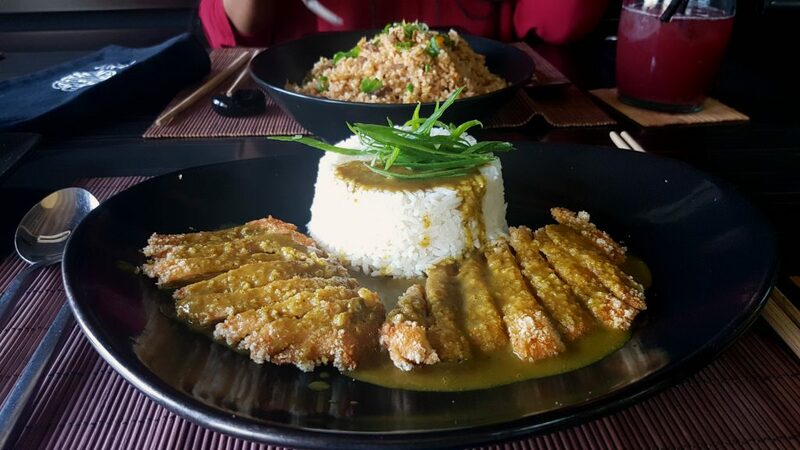 The last time I was at Pow, I thought to try different so I opted for the Chicken Katsu Curry (They have a beef option as well), I was delighted to see the presentation of the meal and was excited to try it. I haven’t had a lot of Katsu Curry’s in the past and most of what I had, were from Wasabi in London. But judging from the taste alone, it was actually really good. I wished it had more curry but it was still okay. The chicken was crispy and chewy in the right proportion which tasted delicious. 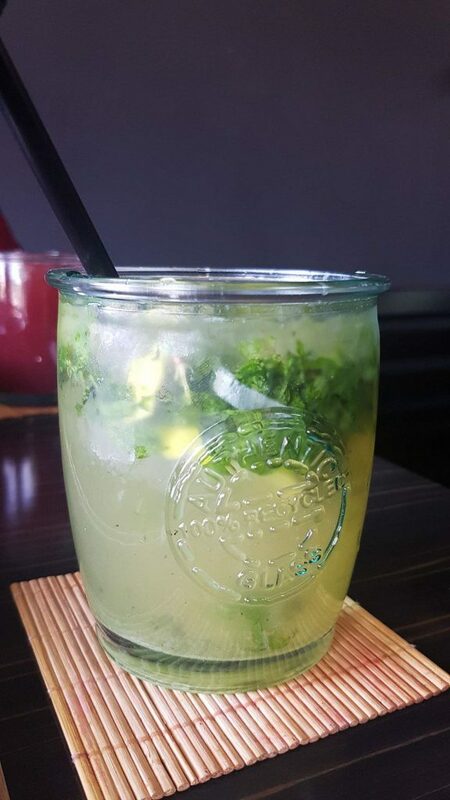 I remember the drink on the top was some form of a lime and Mint mocktail Mojito and the one on the bottom is a lassi. But I will confirm and update! That being said, the drinks were bomb! I am a mocktail kinda girl so I am biased towards that although next time I will tell them to go easy on the sweetener! The lassi wasn’t bad either, just not for me. My first time trying out desserts at Pow was the last time I visited which was like 2 weekends ago. I wasn’t all too pleased with it. 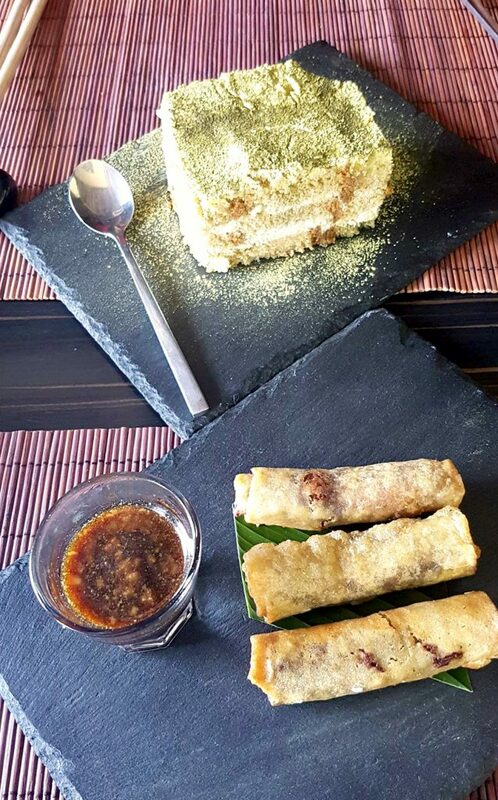 We ordered the Chocolate filled spring roll and the Matcha cake. The chocolate spring roll was a delight and it came with a side of chocolate syrup. It was a little bit hot which made the flavours to be more prominent. However the Matcha cake was the problem. It started out all yummy and somewhat fluffy, but I could tell it wasn’t really fresh. But that was okay, still tasted good. But then we got to the center of the cake and it was slightly wet and frozen. This was such a disappointment because I was actually looking forward to trying out Matcha cake after such a long time. I am not sure if this was a one time thing, but I will try again at a later time to confirm that. They had one other option for dessert which I will try out next time. This is my go to lunch option when I feel like a treat. I like the Pow Bento Boxes because you get tot ry out a few options from their menu at a portion fit for one. They have 3 bento options which can be found on the Jumia Food website. They offer delivery, so check the website for more details. In the photo above, I have the Bento 1 option which comes with a choice of Rice/Noodle, A choice of a main dish and a choice of 2 starters. 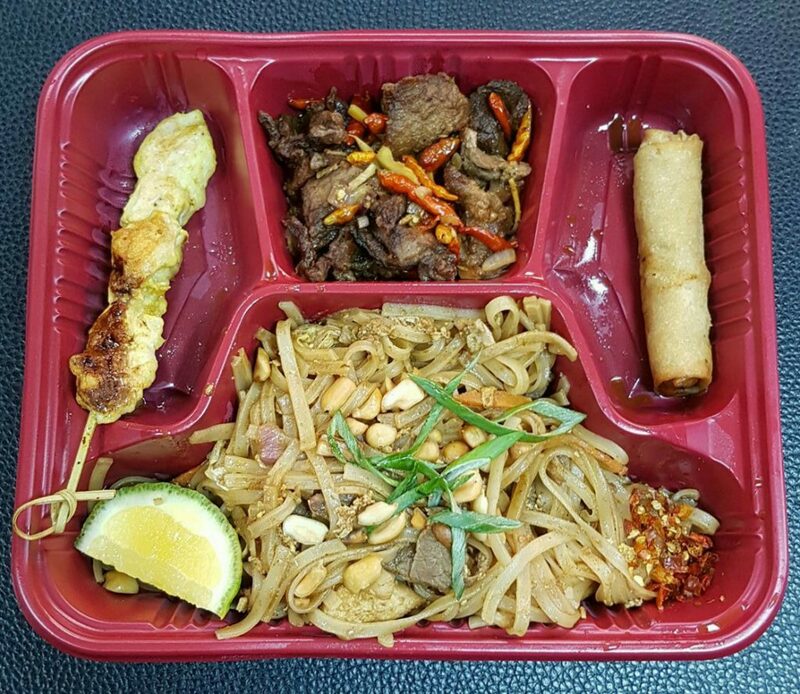 I went for the Beef Pad thai noodles, chicken spring roll, Chicken Satay and a beef main. All I can say is it was a 4 stars lunch.